This has been an incredible time in my life, full of opportunities to impact people through written and spoken messages based on God’s Word. In just the past month, I’ve been able to preach 10 times, most recently during a fruitful ministry trip to Virginia. If you read my books and like them, it would be great for you to write a review on Amazon. Of course, if you DON’T like my books, please forget the reviews and just write to me directly with your comments! 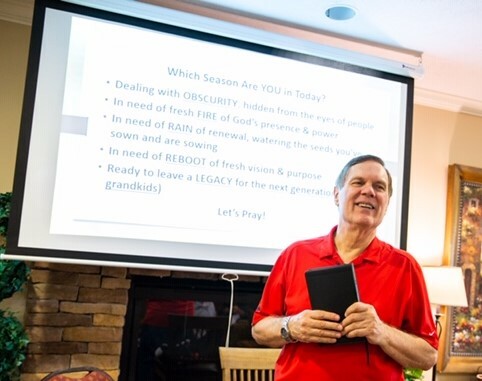 In addition to these great opportunities to touch people’s lives through my own writing and preaching, I love being a part of Mission Community Church and serving at Inspiration Ministries. This year over TWO MILLION PEOPLE – from 200 nations and territories – will click the button at the end of the Inspiration Ministries evangelistic videos to indicate a decision to make Jesus their Lord and Savior! There also will be millions of views of our daily discipleship and Bible teaching videos by David Cerullo. It’s such a privilege to be a part of this impactful worldwide ministry. It has cost some money to get my books ready for publication, and perhaps you would want to help with these expenses. To become a monthly or one-time financial partner of Crosslink Ministries (my nonprofit, tax-deductible organization), all you need to do is click the DONATE button on this secure website. Thankful to Him — and to YOU! Posted in Uncategorized. Tagged books, church splits, Ministry, preaching.